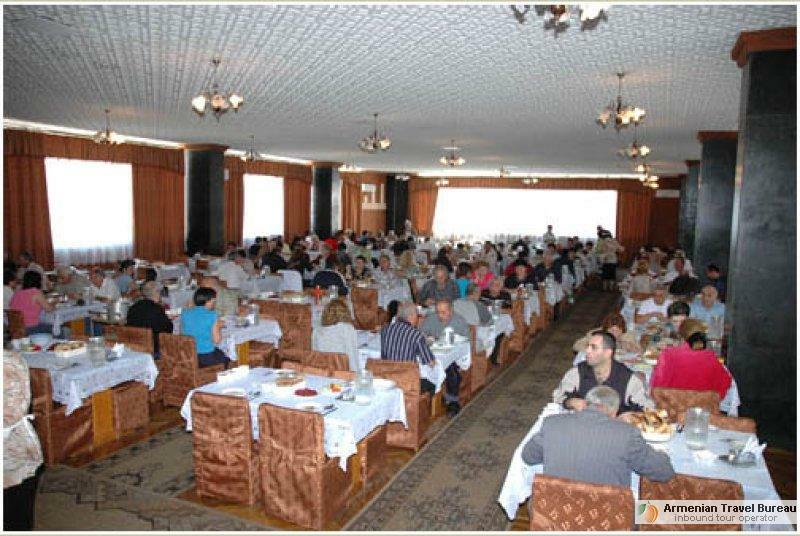 The resort town of Jermuk is located in the south-east of the Republic of Armenia, at a distance of 173 kilometers from the capital Yerevan, at a height of 2080 meters above sea level. 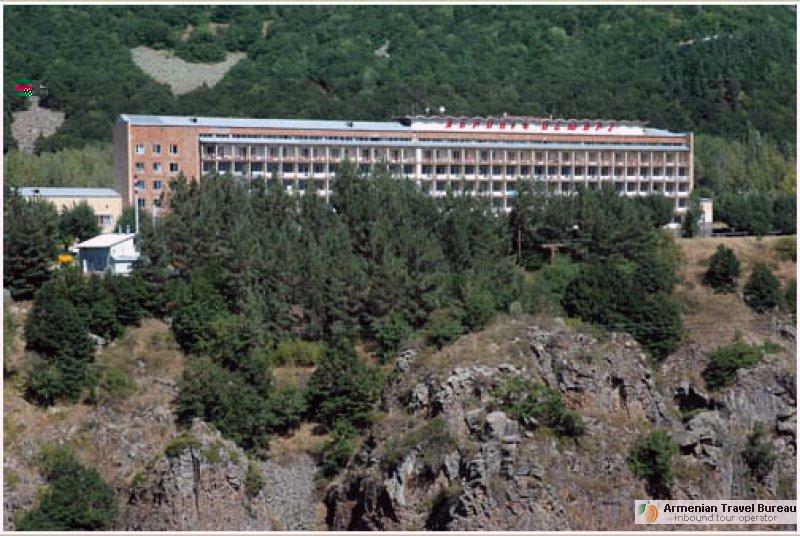 Jermuk is remarkable for its crystal-clear air saturated with rich fragrance of herbs and flowers. The climate is typically mountainous, alpine, with cool summers and long and snowy winters. In the gorge, where the resort is situated, there is almost no wind, and in winter it is usually warm and sunny. 250-300 sunny days per year. 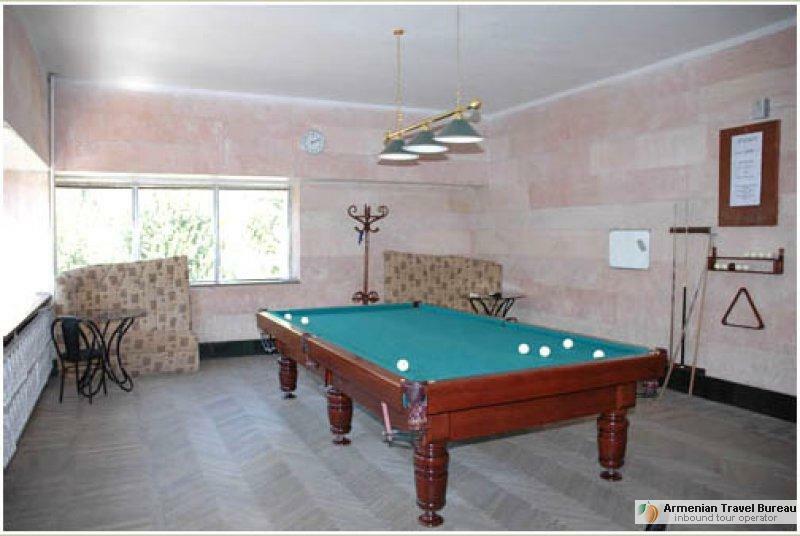 Jermuk is the most desirable place in Armenia for treatment, recreation and leisure. 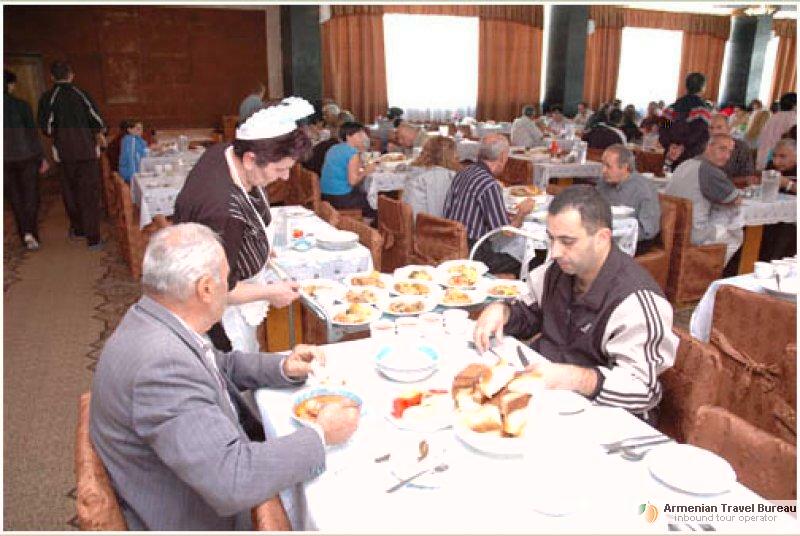 And in this town is situated the sanatorium for Mother and Child - «Ararat». 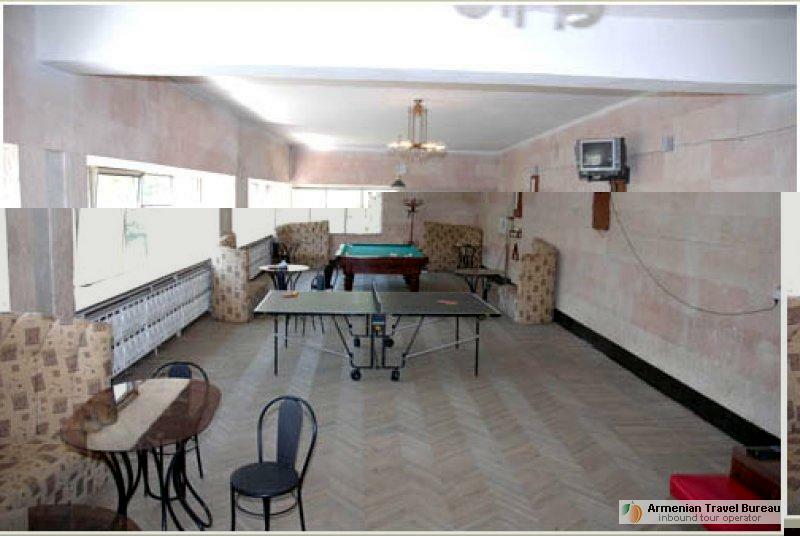 The sanatorium «Ararat» offers high-quality, comfortable and memorable rest. 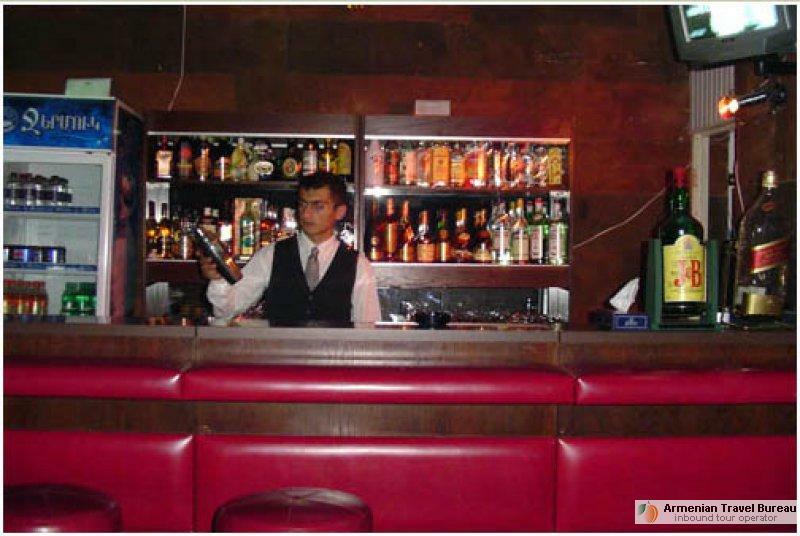 The hotel has 20 single, 76 double rooms and 11 deluxe rooms. 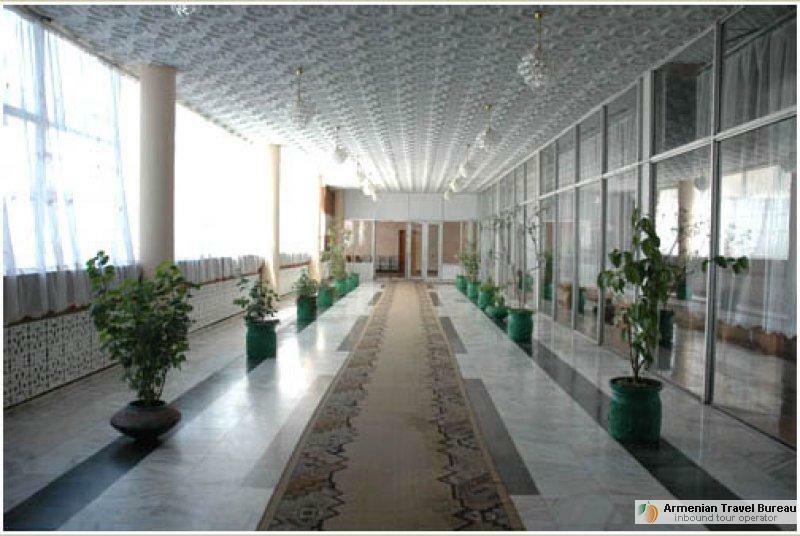 In 2010, the building was fully renovated and all rooms are newly renovated. 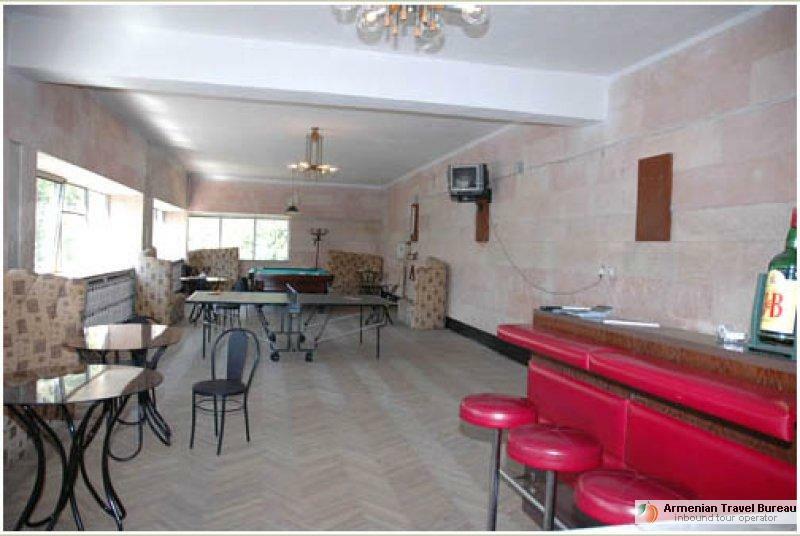 Single and double rooms – consist of single rooms with an area of 14 sq. m. The room has one large or two single beds, satellite TV, shower, bathroom, 2 chairs, coffee table. 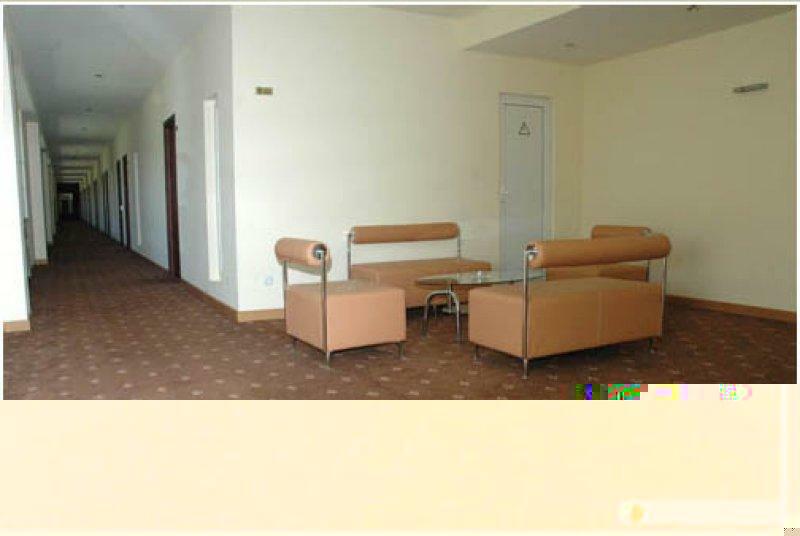 Double room with balcony - single rooms with an area of 23 sq. m. In the room: one large or two single beds, satellite TV, shower, bathroom, 2 chairs, coffee table, balcony. Two additional beds can be put in the room. 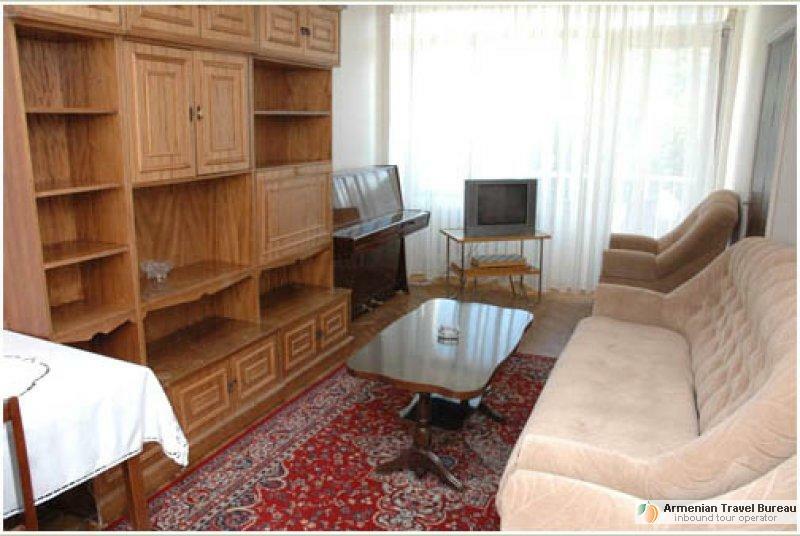 Family room - two rooms with an area of 46 sq. 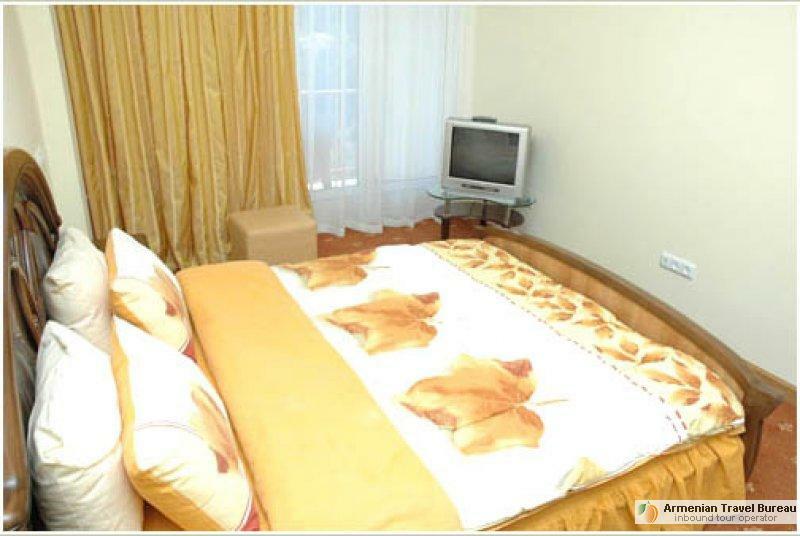 m. Consists of two bedrooms: one king size bed, two queen size beds. In the room: satellite TV, shower, bathroom, 2 chairs, desk, balcony. The room can accommodate from three to five people. 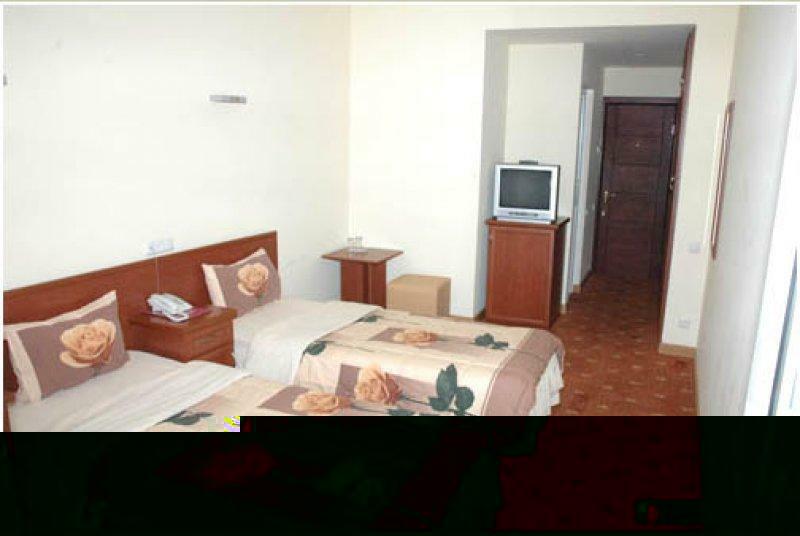 Single Room Suite - a small one-room area of 14 sq. m. In the room: one queen size bed, satellite TV, fridge, shower with massage function, a bathroom, a chair, coffee table. 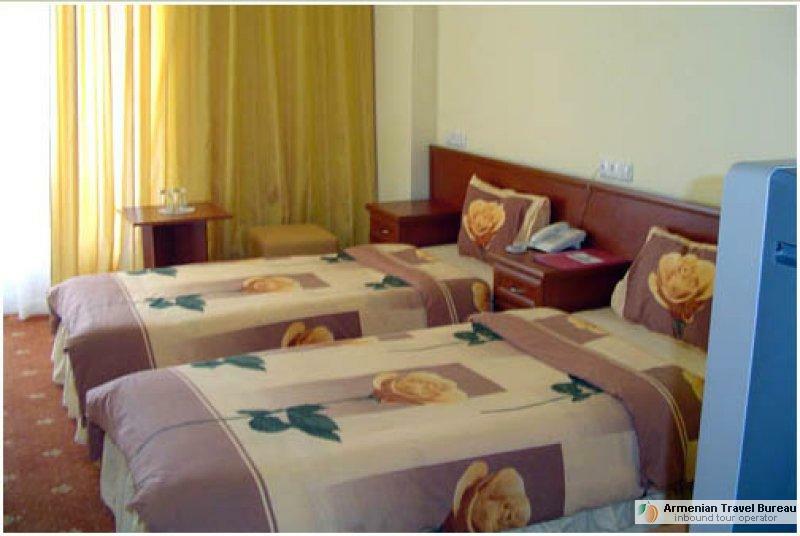 Deluxe Double - single room with an area of 23 sq. m. with balcony. In the room: one large or two single beds, satellite TV, fridge, shower with massage function, a bathroom, 2 chairs, coffee table. 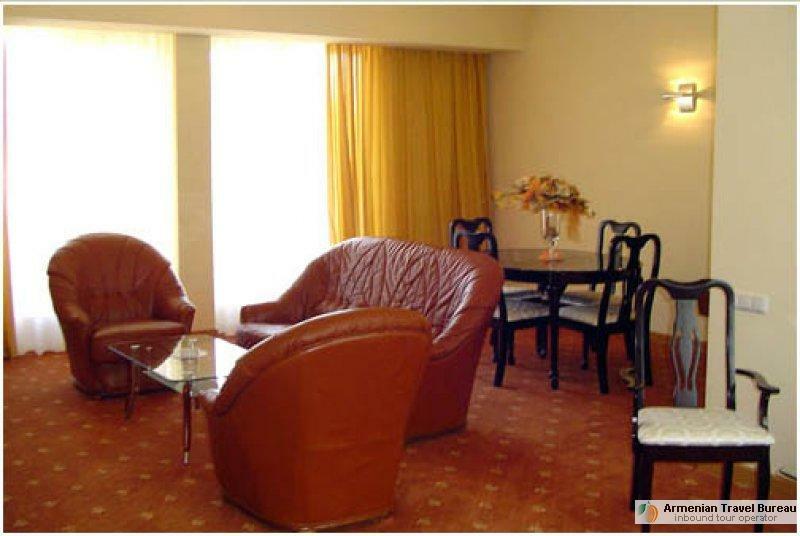 Family suite - double rooms with an area of 46 sq. 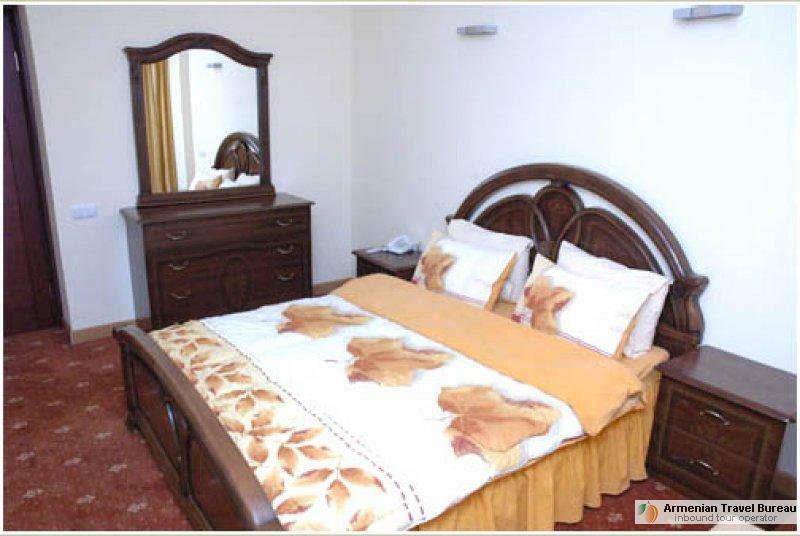 m. Consists of two bedrooms: one king size bed, two queen size beds. In the room: satellite TV, fridge, shower with massage function, a bathroom, 2 chairs, coffee table. The room can accommodate three or four people. 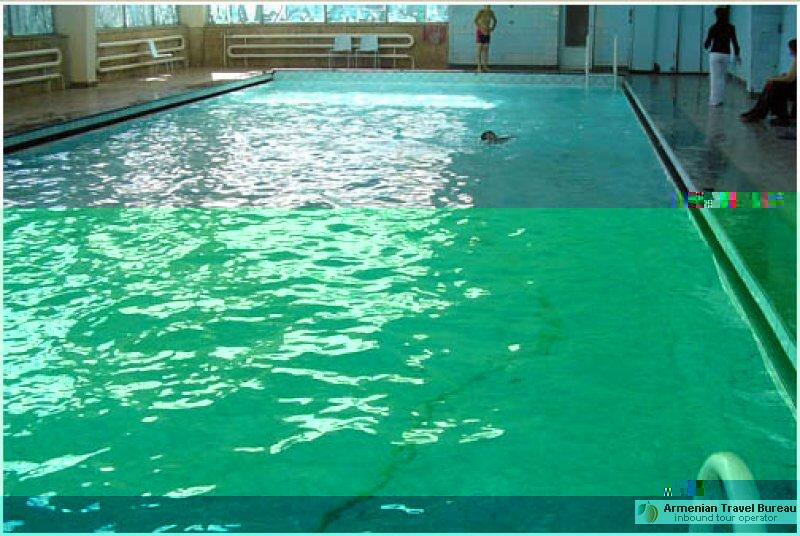 Tennis, billiards, volleyball court, laundry, parking. 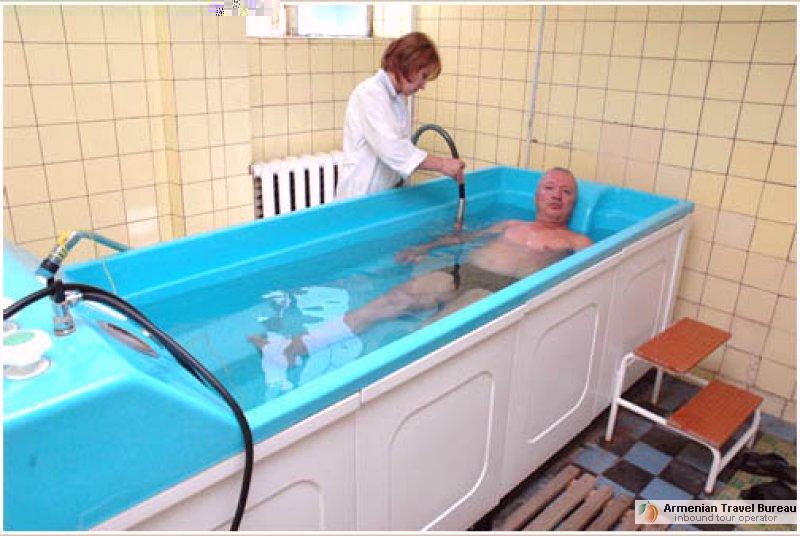 Additional services: massage (specific body part) - 1200 AMD, complete body massage – 4500 AMD, water massage - 2500 AMD Internet - 400/hour AMD, billiards - 1500 AMD per hour, tennis - 400/hour AMD.